NHL Commissioner Gary Bettman has decided to uphold Tom Wilson’s 20-game suspension. Wilson was suspended on October 3 for an illegal check to the head. Wilson can still appeal his suspension to a third-party arbitrator. If his suspension is upheld, Wilson can return November 21 when the Caps host Chicago. As for what it means for the team, it probably doesn’t change much. The Caps picked up Dmitrij Jaskin off waivers before the season started, and with the suspension being upheld, for now, it seems like he will stay around for a little longer. 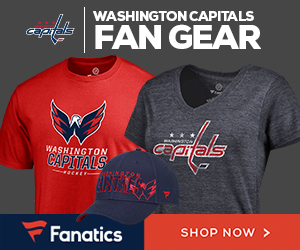 The Caps picked up Jaskin knowing they would be without Wilson for a significant amount of time. However, Jaskin has not filled in well. He has played in five of the Caps eight games, is a -4, has not registered a point and has three shots. Jaskin is averaging 9:21 of ice time a game. The other option, Nathan Walker has an assists in three games for the Caps while averaging just over eight minutes a game. The Caps currently sit third in the metropolitan division with a 4-2-2 record, but without Wilson the question will be for how long they can continue to tread water. When the Caps gave Wilson a six-year, $5.166 AAV contract this summer, they anticipated him being a key contributor on the top line. With Wilson out for potentially another month, the Caps will need to continue to dig deep and have their depth contribute as they look to continue to stay atop the division.